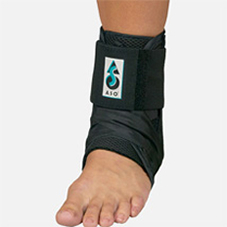 Ankle Braces are used for acute and chronic ankle sprains, ankle instability, ankle or foot pain, proterior tibial tendonitis, personeal tendonitis and osteoathritis. A wrist brace provides relief from pain associated with tendonitis, wrist sprain or strain, carpal tunnel syndrome or any other soft tissue wrist injury. Also proven to provide effective therapy for individuals recovering from wrist surgery as well as post cast healing. 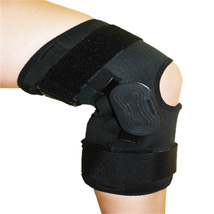 A knee brace is designed to stabilize and control joint movement of the knee to reduce pain, It will help prevent further injury, and is used to speed up the healing process of past injuries. 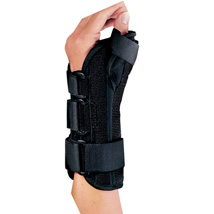 The brace is made of a breathable and washable fabric this is comfortable to wear. The innovative brace design targets a number of diagnosis including: osteoarthritis, rheumatoid arthritis, sprains, fractures, and ruptures and tendons.